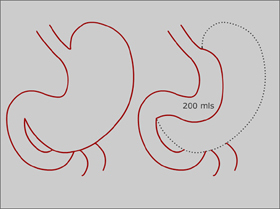 This is the first component of a BPD-DS where the stomach is reduced in size by removing the lateral 2/3rds leaving the stomach in the shape of a tube. 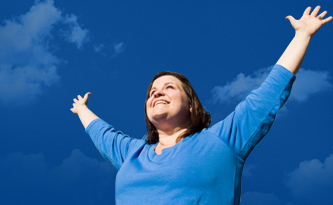 Sometimes it is offered to patients as part of a two stage Bypass operation particularly if they are super obese ( BMI>60) because it allows good weight loss until the patient gets down to a safe weight and the more radical bypass can then be offered laparoscopically when they are at a safer weight. The residual stomach capacity is about 200mls so a generous entree should be possible. It is a good option for people living in remote areas because it is a "set and forget"